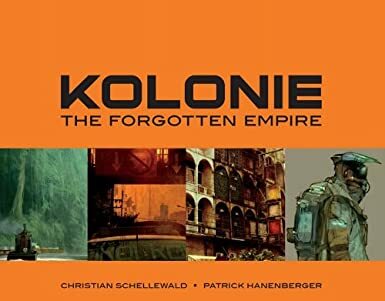 KOLONIE: The Forgotten Empire is quite a good book with an excellently detailed back-story and some nice pictures. However there are also a lot of very rough pictures and I would have liked to see some more 'fine art' pictures (or at least some that aren't so blurry or comic bookish). Still, the majority of pictures are good and make it worth buying. If you're an art book collector like me then you should definitely buy it, otherwise I recommend finding it in a shop and having a browse through first. Steve Jackson and Ian Livingstone, the game design giants behind Fighting Fantasy and Games Workshop, are special guests of UK Games Expo on Saturday 31st May. At 2pm you can listen to their seminar Games Workshop: The Early Years. Then at 3pm for one hour only they will be signing books at a table just inside the Kings Suite. Don't miss this opportunity to get those books signed. I should start by saying that this book is not really what I was hoping for. 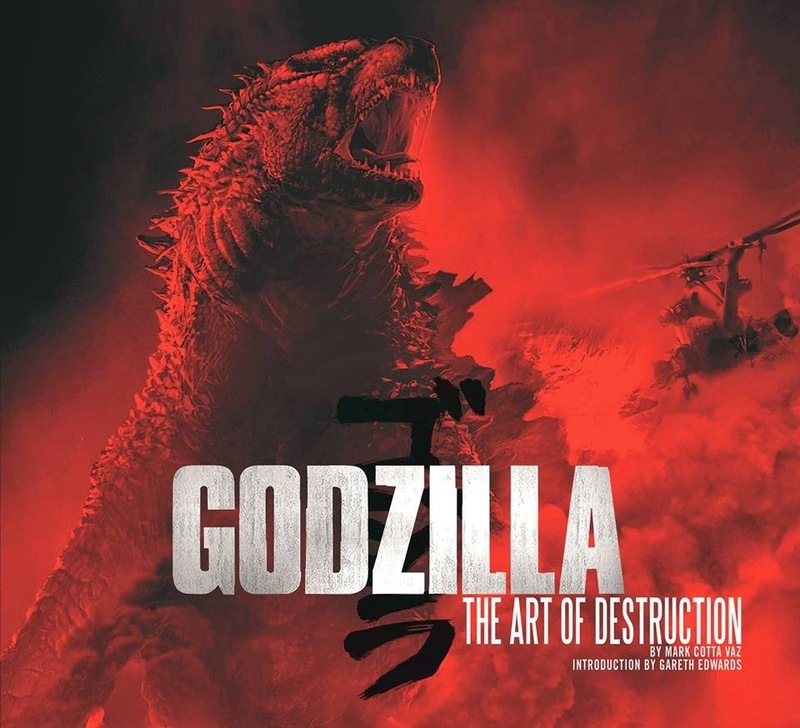 I'm a collector of concept art books and when I saw the title 'Godzilla: The Art of Destruction' I leapt at the chance to buy it. However this is not, really, a concept art book but a 'making of' book and while concept art obviously comes into that it is only a small part of it. So I was tempted to give this book a middling review but before I did I double checked the description and found that what the booked contained was explained quite clearly. The fault, therefore, lies with me having the wrong expectation. That being said I can't help but wonder if 'the Art of Destruction' wasn't a deliberate choice to snag the concept art lovers, like me, since those books sell very nicely. But enough of what I thought the book would be and what it wasn't. You want to know what it is. Put simply it's filled with production photos, interviews, design sketches and maquettes (the little statues they make to show how a thing will look in 3D, rather than just as a drawing), as well as the concept art I was expecting. The split is roughly fifty/fifty between photos and concept art and there is a lot of text getting into the nitty-gritty of making a big monster blockbuster. I was a little disappointed that the monster designs that were included, except for Godzilla, were almost all the early rough sketches rather than finished pieces. Unless they never got beyond the rough design stage (enough for the animators to work from) then I really can't see a reason for this. There are, of course, some great pictures of Godzilla which are spread across some fold-out pages and several different versions of his head. However I can't help but notice the things that are missing. There are very few location designs, not much military stuff and aside from the big set pieces of the movie, along with the big guy himself, not much else seems to be touched upon in any depth. Fine, it might seem like mundane stuff but some people, myself included, like to see the stages of the design process. It definitely, in my opinion, would have made for more interesting pictures than the handful of photos of actors in front of green screens being told what to do by the director. So to sum up: I would say that, as an art book collector, I was disappointed. I like to see books brimming with art and only a bare essential amount of text to go with it. However, since that's not what this book claimed to be (in the description, at least, if not in the title) then I can't really knock it down for failing to meet my expectations. So I would say that if you are a lover of 'making of' books then you will find here a great book. The interviews are interesting, the photos revealing, the art that is there is good stuff and the fact it covers all areas of the creation process will be a treat. I've said it before and I'll say it again now, Titan know how to make a good book. Fact. However if, like me, you're more interested in the concept art than anything else then I would suggest giving this one a miss, certainly until you can have a look through it and decide if the amount of art justifies the price of the book. May 19, 2014 – Renton, WA – Today, Wizards of the Coast kicked off a pivotal year for Dungeons & Dragons, unveiling new serialized entertainment offerings that will bring the upcoming Tyranny of Dragons storyline to life as well as announcing the D&D Player’s Handbook, Monster Manual and Dungeon Master’s Guide for the highly-anticipated new rules set for the D&D tabletop roleplaying game. 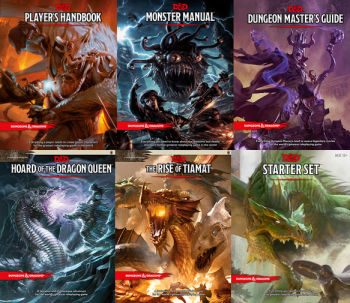 Together, these new offerings will command the attention of digital and tabletop RPG players alike, setting the foundation for the future of the brand and powering incredible, action-packed play experiences for fans. First out of the gates for Tyranny of Dragons digital offerings will be a new module for the highly-acclaimed Dungeons & Dragons MMO, Neverwinter, from Cryptic Studios and Perfect World Entertainment. The new module, aptly titled Tyranny of Dragons, will be the premier digital Dungeons & Dragons experience for players and will launch on August 14, 2014. For the full Tyranny of Dragons story overview and product line-up, including PC and mobile games, tabletop roleplaying adventures, digital tools, collectible miniatures, comics, apparel and more visit DungeonsandDragons.com and stay tuned for more Tyranny of Dragons offerings and release dates to be announced in the coming months. 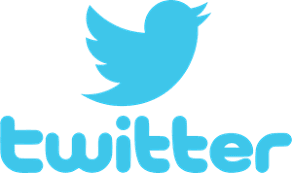 Also, be sure to follow D&D on Facebook and Twitter. 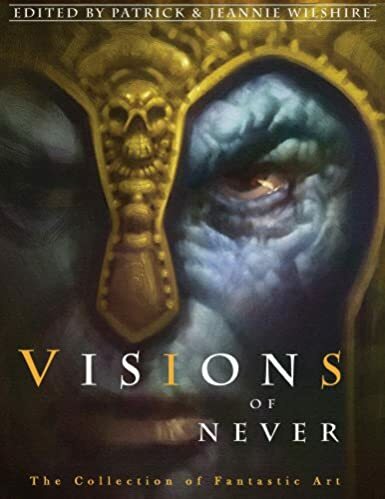 Visions of Never is a nice book, well put together with the artwork well presented. There's also more in-depth interviews with the artists than you normally get although this shouldn't be too surprising since this is a showcase of six selected artists (Marc Fishman, Richard Bober, Paul Lehr, Don Ivan Punchatz, Robh Ruppel and Mark Zug). Not all of the artists' styles are to my taste but that's a matter for each individual reader to determine, obviously, so I shan't bother to comment on the artists specifically. All I will say is that the large majority of this art is of incredible quality and represents a fantastic offering from the worlds of science-fiction and fantasy art. The interviews, though short, are also very good at getting to the heart of what drives and inspires the artists, as well as their feelings on the industry and other artists. All in all, well worth adding to a sci-fi and fantasy artbook collection. VISIONS OF NEVER presents the uncollected works of six of the fantastic art genre's finest craftsmen. VISIONS' award-winning artists represent a wide range of styles and approaches, from the surrealistic personal works of Paul Lehr to the ornate, multi-layered masterpieces of Richard Bober, and cover a broad cross-section of the field, from gaming art to book-cover illustrations to large-scale gallery works. I used to call him ‘The Nightmare Man’. I first came into contact with the work of H R Giger the same way, no doubt, everyone else did – through the movie ‘ALIEN’. His work on the creatures and the crashed starship became legendary and the world was exposed to a fully visceral representation of what was inside his head. The space jockey’s starship, so strangely shaped and shrouded in mist, the space jockey itself growing from the chair and the creature, that nightmarish bipedal monstrosity that spent many hours lurking in the shadows of my mind. His designs – not just the work he did on one of my favourite ever movies but the majority of his biomechanical work - had a massive impact on me as a teenager and I found that as much as I appreciated his talent, I couldn’t look at his paintings for very long. Watching him do interviews, especially on the Alien Quadrilogy DVD boxset extras, was a far cry from how I imagined him to be. His haunted look and dour face was simply an appearance, as he turned out to be a softly spoken and somewhat humorous man fully aware of the images he was creating. I don’t know what I expected, but he always seemed, well… normal. For someone who seemed capable of putting such stark, vicious and disturbing imagery to paper he appeared to be a normal guy. This in no way was what I called ‘The Nightmare Man’. He was more like the ‘Bit Of A Restless Night Man’. But looks are deceiving. His work truly is the stuff of dark thoughts and repressed nightmares. H R Giger was recently inducted into the Science Fiction and Fantasy Hall of Fame recently and well deserved it was, too. His contribution to the arts in the form of movies, album covers, portfolios and sculptures is second to none, causing shock and controversy and creating talking points and debate. I could talk about his talent all night, but right now what I’m most excited about is finally seeing the documentary about Jodorowsky’s unmade ‘Dune’ movie, in which we’ll no doubt get to see some more of Giger’s designs. It just goes to show how special his unique talent was – even the work that he did in the 1970s, even the work that didn’t get used, still has resonance and power today. H R Giger will be missed by the science fiction community and the art world as a whole. He gave us disturbing dreams and nightmares, and we thank him for it. Savant is a science-fiction comic series following the exploits of Lode, a woman from the eponymous planet Savant, who embarks on her walkabout around the galaxy (as is customary for many of her people) to gather ‘life’ experiences. Unlike your average gap year, however, the life experiences don’t involve getting drunk in strange places and hoping your parents never work out what really really happened whilst you were away. Instead Lode gathers the memories of others’ via a telepathic link, ‘downloading’ the life experiences of the dying, in order that their memories may be preserved. As science fiction concepts go it’s not exactly new but it is well told and I found myself getting through this first edition very quickly. This was helped in no small part by the artwork. Will Pickering clearly knows his way around a pencil and I found the designs for clothing, weapons and machinery to be on a par with work I’ve seen in the Dark Horse Comics’ Aliens series from several years back. The overall premise isn’t the only decent bit of sci-fi to be found in these pages, however, as I was pleasantly surprised to find concepts and ideas that I’ve not seen anywhere else (the nanite mine being a particularly horrific weapon) mingled with the more ubiquitous staples of the genre. The dialogue is well handled and the pacing is neither too fast nor too slow. There is also a competent, and not at all cheesy, stab at depth and reflection in Lode’s personal musings which give the story a more convincing tone for the generally bleak environment being portrayed. All of which combined into a very satisfying read and one I have no trouble recommending to others. 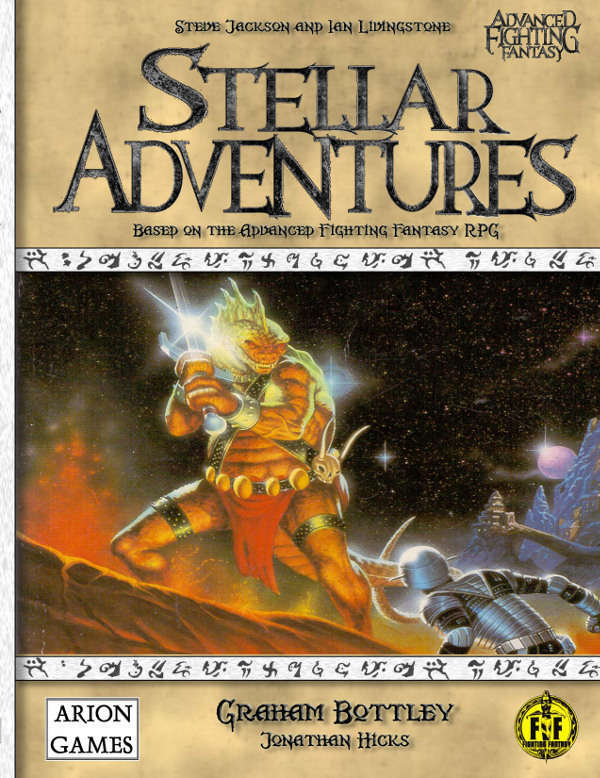 As regular readers of this blog may already know, it was the Fighting Fantasy gamebooks that got me started in the gaming hobby. 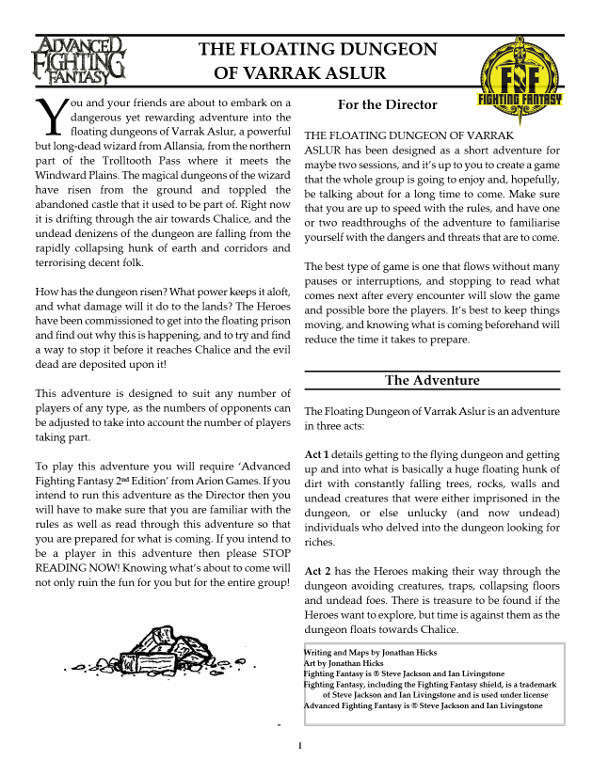 Fighting Fantasy led to Dungeons and Dragons, which led on to wargames, which led on to other wonderful things. 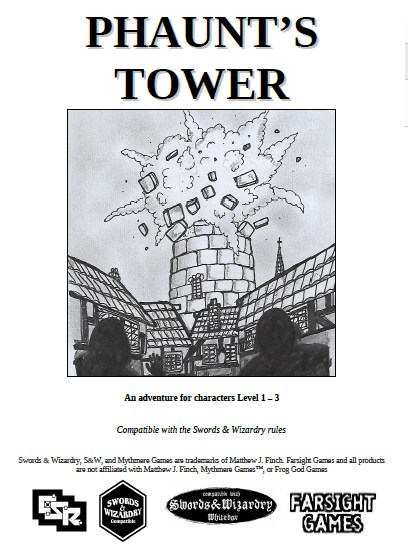 Through all of these years of crazy I've never lost sight of the fact that it was the books created by Steve Jackson and Ian Livingstone that originally lit the touchpaper of my hobby and gave all that spontaneous creativity and wild imagination that I had built in my younger years form and meaning. 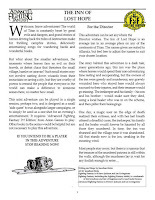 A couple of years ago, at the UK Games Expo, I had the pleasure of listening to one of their seminars as well as being the first person in the queue at the book signing, getting them to sign my copy of a first edition Titan: The Fighting Fantasy World (later added to by the wonderful Jonathan Green - I might make it a goal to get as many of the book contributors as possible to sign it!) and a copy of the anniversary hardback of The Warlock of Firetop Mountain. A couple of weeks ago I joined a Fighting Fantasy group on Facebook. Jonathan Green had mentioned that there were almost 400 members and as I hadn't joined the group I thought I'd give it a try. 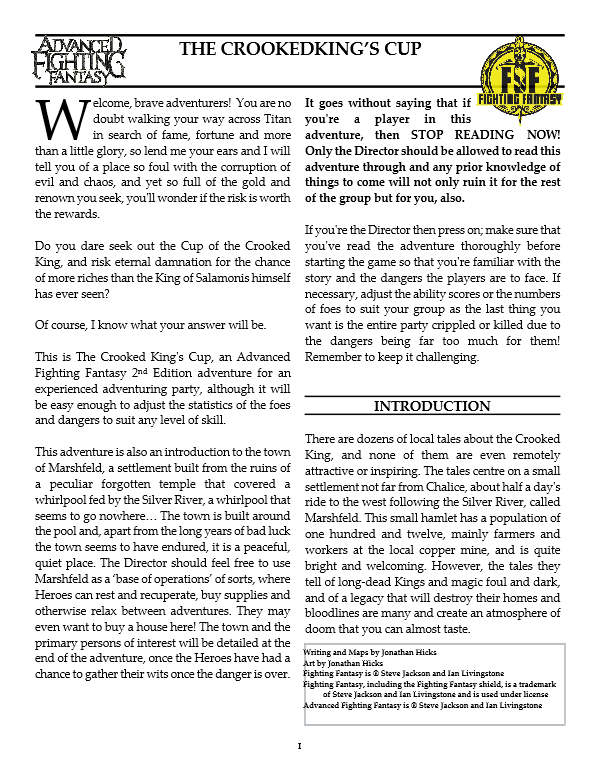 Not only did I join I was also the 400th member, and as Fighting Fantasy gamebook players will know, the 400th entry in a gamebook usually meant the victorious conclusion to an adventure. I was 400! Hooray! But it didn;t end there. 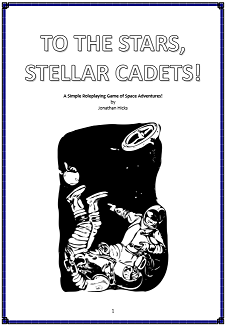 Little did I know, the page was modded by the company Tin Man Games who were creating App versions of the gamebooks and as the 400th member they had a surprise for me. They asked for my address and I waited with excited anticipation to see what would come through the post. 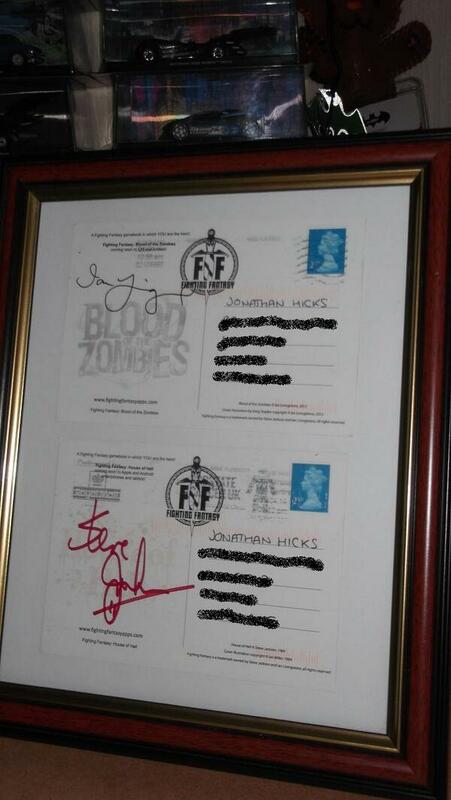 And a week later I get signed postcards from Steve Jackson and Ian Livingstone, both of which are now framed and sitting proudly in my hobby room. There was also a gift from Jonathan Green, but I'm going to keep that one under my hat for a while. I'm geeking out just thinking about it. I love my hobby. I also love that the thing that got me into it 31 years ago is the very thing that's keeping me excited about it at a point where time and responsibility is reducing my involvement. I bought The Art of Elmore because I'm a big fan of fantasy art and I wanted to collect some of the older pieces that really defined the genre for a long time. 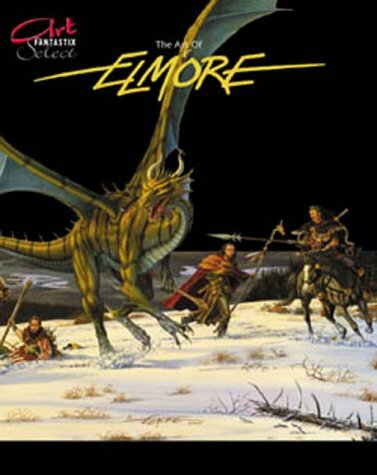 Elmore was instrumental in designing the look of things like Dungeons & Dragons and Dragonlance (among many others) and his seminal work is a must for any serious collector. Beautiful women, peerless heroes and evil villains and monsters abound and I can't recommend it highly enough. Please though, make allowances that this was all before the marvel that is CG art and what you get here is all hand drawn/painted images. Great stuff. When you see that the Prodos Games Kickstarter raised nearly 380K to design and create an Alien Vs Predator miniatures game and their target was just 35K, then something tells you that this is a game that people not only really want done but really done well. After seeing the new models and speaking to the guys from Prodos Games about their plans for the game and the franchise scope they have to play with, this game suddenly becomes a very important blip on a gamer's motion tracker. I have a varied history with the Alien and Predator franchises. In a nutshell - Alien is my favourite, Aliens is a great thriller/action movie but a terrible sequel, Alien 3 is woefully unappreciated for obvious reasons, Alien: Resurrection I viscerally dislike, AvP was awful, AvP: Requiem was even worse, the AvP computer games were good, the Aliens: Colonial Marines game was terrible, Predator was amazing, Predator 2 was okay, Predators was suprisingly enjoyable, the Dark Horse comics of both franchises were varied, but my favourite was the original Alien Vs Predator, especially with the introduction strips in Dark Horse Presents. And out of all of these, do you know what Prodos Games is allowed to use? As I sit here writing this, listening to the AvP computer game soundtrack, I feel myself getting somewhat excited about this game. I was originally skeptical, thinking that we'd have the risible movie characters jumping around a gameboard fighting off and avoiding aliens and predators, a little like the boardgame that Leading Edge gave us those many years ago. But these are the guys who gave us Warzone, the new Mutant Chronicles wargame, and I've already been wowed by that. So why did I worry? Why did I worry about what they were going to use, when I walked through the doors of Titan Games today and saw the wonderful 28mm miniatures of aliens, Colonial Marines and a predator? Toss in a Queen Alien, some royal guard, a predalien, some facehuggers, sentry guns and some random spears through human skulls and what you've got here is a game closer to the very first Dark Horse comic (which should have been the movie, damn you!) and the computer games, all of which are of a high quality. I spoke to one of the Prodos guys and asked him what the limits of the licence from FOX were. The answer? 'There are none'. So... what can you use from the franchises? 'Everything'. From the comics, the games, the movies? 'Everything'. Everything that Prodos Games is doing is being done under close scrutiny with FOX, and everything they design, add, change, take away and otherwise modify has to be given the green light from the licence owners. This has resulted in some high-quality miniatures that are as accurate as you're going to get. The detail and quality is incredibly high and when painted these are going to look amazing. Just have a look at the Kickstarter page to see what else they've got lined up (the Alien 3 Weyland - Yutani commandos are a great idea). This looks like it's going to be a great game with some amazing support. The models look great. I'm no wargaming or model expert, but I know my Aliens and Predators and these models are wonderful, right down to the bony extrusions and the flailing dreadlocks. It's all looking good, and I for one am looking forward to seeing this baby in action. And for you Mutant Chronicles Warzone fans out there - here's some shots of the new packaging for their starter sets, and some amazing Imperial figures fully painted. This is a cracking and incredibly popular game. 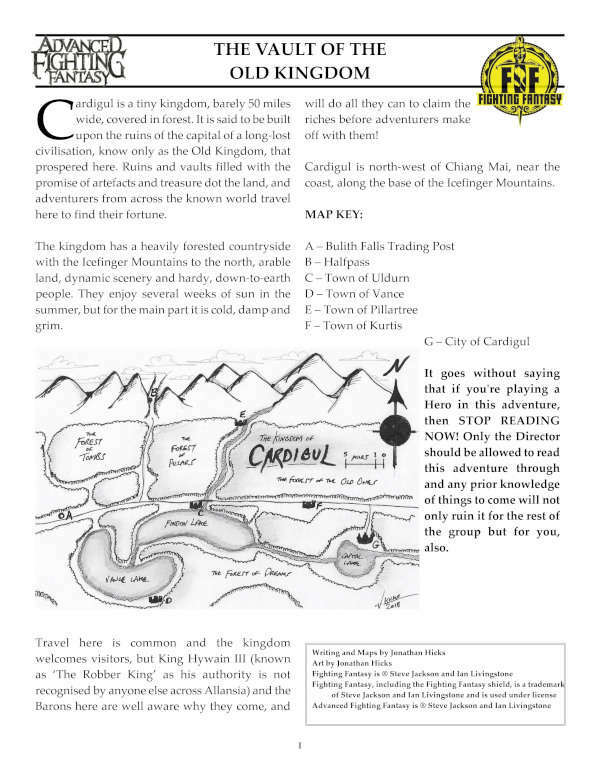 Say hello to Rich Campbell-Innes of the hobby website 'The Hobbynomicon'. He's kindly shared his thoughts on the soundtrack to the new MMO 'The Elder Scrolls Online'. Before I begin this review, I think it's important that people take into consideration that TES Online is a massive step away from TES as we know it, not only in game mechanics, but pretty much every aspect other than the game world and the lore. For me growing up, TES was a second world that I seemingly disappeared into for countless hours when I wasn't needed elsewhere. The world, lore, characters and music were all intrinsic factors in this and it never needed anything more than it had. So naturally, as I learn of a new TES release, I am beyond excited. However, as time went on and details became fact, there were quite a lot of things that really threw everyone off. For a start, as an MMO, it would be a whole new experience. This changes the way games are played, no longer would I walk around a town casually donning my finest linens, I'd be parading my finest armours and showing off my levels... That's not what these games have ever been about, it just seems so alien to even think it. Then we also find out that the music will take a dramatic turn, Jeremy Soule worked on the Title (thank Azura...) and cinematics, but the rest would be other peoples work. This at first really but a sour taste in my mouth, but the more I thought about it, the more it made sense. As a project from a separate studio with an entire overhaul on how the game functions, I would expect no less, especially so considering just how the music will work in game. The music in game will be more of a fluid soundtrack, so as opposed to songs that play randomly or reactively based on location/situation, the music actually changes and fades at key moments during each track in response to locations and situations such as combat. This removes the 'songs' that we know and love to a degree, replacing them with certain hooks and melodies that stick with us. No longer will I be able to throw on 'Peaceful Waters' and re live that one time I was roaming the Grazelands. After having listened through The Elder Scrolls Online soundtrack a few times, I have to say that I am fairly impressed. The latest rendition of the classic TES Intro song is absolutely fantastic, it thankfully has that obvious Soule sound without just being a simple carbon copy. It's simply an excellent display of a personal sound that again manages to capture the true scope and, excuse the overused word, but epic, proportions and feel of the Elder Scrolls Universe. I can't help but feel though that opening a soundtrack with what I was certain was going to be the best song was a pretty bad idea. That clear Jeremy Soule sound had me geared up for more and everything that followed it was close but, fairly obviously not Jeremy. Don't get me wrong, it's good and even beautiful in some parts, but going from something so incredible in sound and very recognisable (at least to my ears) to a 'close but no cigar' situation, really set the soundtrack apart. I found myself phasing out and never really being truly aware of the music, no melodies really caught my attention or triggered any true responses, but I'm sure this is a thing that will come in time once the hooks and feels become attached to memories or events in game. I do fear that this soundtrack will be largely overlooked due to songs being so mixed up like they will be via the dynamic system, but I guess this is just a reality of the MMO soundtrack, a thing that really for the most part can't exist in the same way that other games soundtracks can. One thing I do see as a massive positive however is the addition of the astonishingly beautiful bard style songs. The amazingly talented Judith de los Santos a.k.a. Malukah actually wrote these based on poems and song texts pulled from the game. I think this is a massive step forward in creating a more vocal presence in the Elder Scrolls without having to suffer the bard songs of Skyrim endlessly. On a final note then, It definitely does make for some great listening, It is without a shadow of a doubt something that I would put on for some great background noise... But more than likely after I'd already played through Jeremy Soule's work. As an artbook, I have to say, Prometheus: the Art of the Film leaves a lot to be desired. There must have been hundreds of images produced for the film but what is in the book is a very meagre selection (if you have the art book for Avatar then it's a lot like that). Also, a lot of the images are poor quality CG, which might be fine for a production team who merely needs something to guide design, but makes for a disappointing art book. However, if you were left with a lot of questions after watching the film (and if you say you weren't then you're a liar!) then this book can help a lot in answering them by explaining the thinking behind the film. Visionary filmmaker Ridley Scott (Alien, Blade Runner)returns to the genre he helped define, creating an original science fiction epic set in the most dangerous corners of the universe. Produced with the full co-operation of the filmmakers, this lavish book, showcasing stunning production design art and behind the scenes photos, will be the only tie-in publishing to this eagerly awaited film.